Volkswagen has revealed its high-powered T-Roc R small SUV. The sporty version of the T-Roc will be shown at the 2019 Geneva Motor Show. 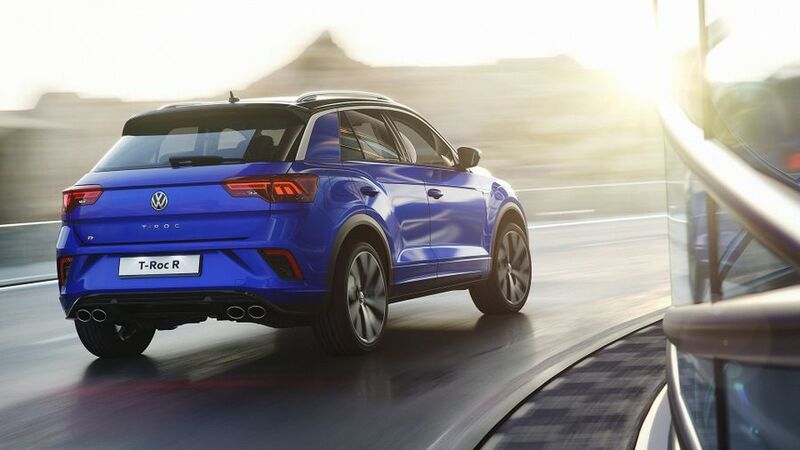 The standard VW T-Roc rivals the likes of the Seat Ateca, Skoda Karoq, Ford Kuga and Toyota C-HR to name but a few, but there's only one genuine high-performance rival for the T-Roc R, and that's the Cupra Ateca with which it shares a great deal mechanically. Like the Cupra, the new VW T-Roc R will have a 2.0-litre turbocharged petrol engine with 300 horsepower, along with four-wheel drive and a seven-speed dual-clutch automatic gearbox as standard. It will be able to do the 0-62mph run in 4.9 seconds, with a top limited speed of 155mph. 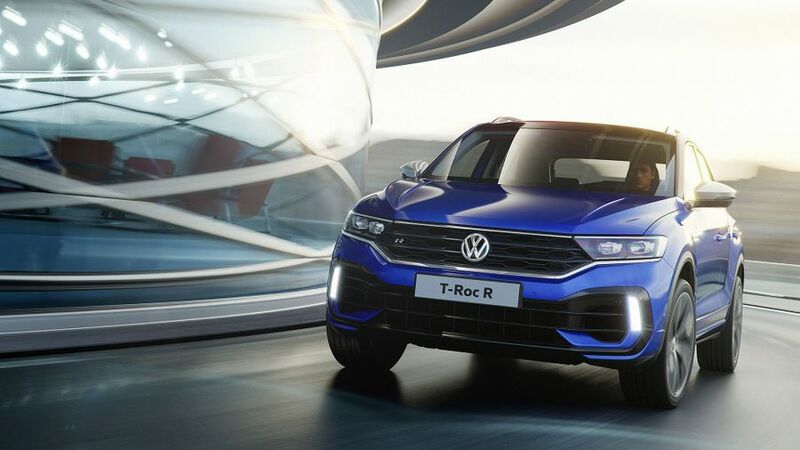 Compared to the normal T-Roc, the R version will have lowered suspension to improve grip, and will also be fitted with the brake system from the VW Golf R Performance. The T-Roc R will also have selectable driving modes, including a race mode, which features launch control, and the ability to switch off the Electronic Stability Control. Compared with the rest of the T-Roc range, the R will have a few unique design touches, including a redesigned grille with the R logo on it, a new bumper front and rear, matt chrome mirror caps, and a roof spoiler. 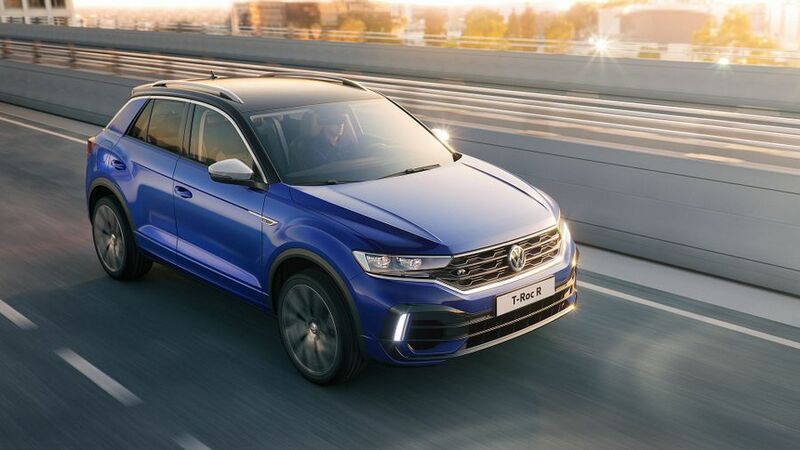 The R will be available in the exclusive Lapiz Blue Metallic colour, or any of the usual T-Roc colours, from Turmeric Yellow Metallic, to Indium Grey Metallic. Inside, there’s a scattering of ‘R’ badging around the cabin and a sportier steering wheel. Buyers can also opt for a leather package. There’s no word on pricing yet, but the Volkswagen T-Roc R will likely cost around the £35,000 mark. Find out more about all the cars at the 2019 Geneva Motor Show. Interested in buying a Volkswagen T-Roc?